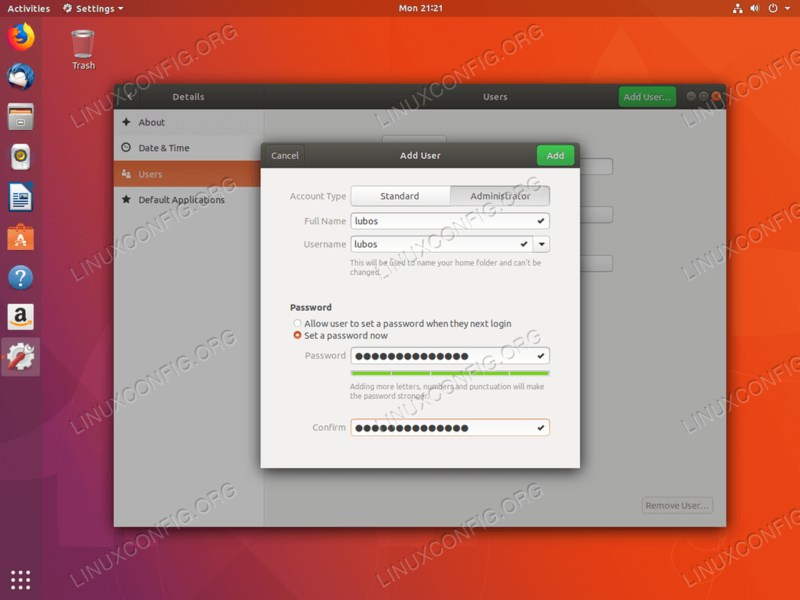 This article will explain how to create a sudo user on Ubuntu 18.04 Linux. First, we will look at creation of new sudo user using command line and later we will create a sudo user from Ubuntu's graphical interface. The sudo user can execute any command with administrative privileges, hence execute commands as root. To be able to create a sudo user we first need to create a regular user. To do so we can use adduser command. 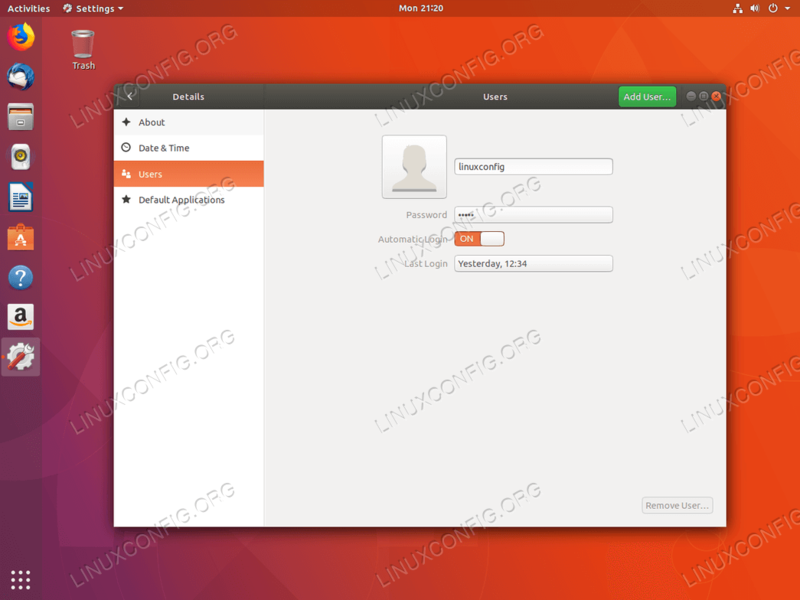 Visit How to Add user on Ubuntu 18.04 for more information on how to create new users. Using your graphical interface simplify sudo user creation on Ubuntu 18.04 desktop. We few click we are able to create user and at the same time assign the user sudo administrative privileges. To create a new user on Ubuntu GNOME Desktop, first open SETTINGS window. Next navigate to About->Users menu. Press the top right Unlock button to get into administrative mode. Hit Add user... button in order to create a new user. Select Administrator account type to automatically add user to sudo group. Fill in all required information. All done. New sudo user has been created.